On a drizzly October night in the coastal town of Santa Cruz, California, seventeen-month-old Nevaeh drowns. Her mother, Alyssa Buchanan, is wild with rage and regret for placing her trust in her husband Seth, a former pro surfer who has a drug problem. Seth is adamant that he was clean the night of Nevaeh’s death, yet a dirty drug test contradicts his story. His parental rights stripped and criminal charges looming, he battles to prove his innocence, love, and family devotion. Adding to the couple’s grief, their five-year-old daughter Daisy hasn’t uttered a word since her sister’s death. Alyssa turns to childhood friends and local police officer, Greg Wallace, for comfort and support. Although Greg portrays heroic devotion and justice, inwardly he swims with loss, narcissism, and explosive rage. He has long despised Seth and is more than willing to meet Alyssa’s needs that reach far beyond friendship. Into this fragile scene steps therapist Katherine Middlebrook. Her practice consumes nearly all her time–time that is even more precious now that her mother’s cancer has returned. She hesitantly accepts three new clients­–Greg Wallace, and Seth & Alyssa Buchanan, unaware of their intertwined history. Buried deep in Katherine’s past is the loss of her own child. She’s sure she can keep the boundaries of her past and her clients’ lives clear until their intersecting tragedies awaken old demons. An award winner in the South West Writer’s Contest for literary and mainstream novel, Out of Breath is an exploration of parental grief, addiction, compassion fatigue, and suicide; it’s the prodigal story of unearned grace. Susan’s expertise as a psychotherapist and grief specialist enables her to create dynamic characters that will leave you breathless as you jeer their shadow sides and cheer their heroic journeys. Absolutely loved this book! The characters became so real and tangible to me that I could not put my iphone down! !Having grieved the loss of both my mum and dad, this book really dealt with the process and healing of grief so well. “Out of Breath” is a novel that centers on the loss of a child and all of the tragedies that occur around and after that event. Somehow though with all of these, even though you will be deeply drawn into each of the character’s experience, you will not feel forced to cry. This makes “Out of Breath” a unique, thoughtful, and excellent book. I read Susan Salluce’s book, “Out of Breath” in one sitting. I was completely captivated. The characters came to life on the pages for me. Never having experienced the kind of grief and despair depicted in this book, I was still able to connect with the story in such a deep way. The rawness of pain and glimpses of hope and forgiveness were so real and honest. I imagine those who have experienced tragedy would be reflecting how Salluce “really gets it.” Just loved it. Susan Salluce combines emotional truth with unpretentious prose, making this an easy book to breeze through, but also bringing with it some truly beautiful moments. A particular description that caught my eye was of a stained glass window of Jesus and His crown of thorns, which Salluce describes as dripping with blood, thanks to torrential rain pour outside. While these visual cues were tiny, they were what injected scenes with just the right dose of tension or emotional resonance. I was compelled by the authentic psychological depth that lay at the core of every interaction, impulse, and event as the characters handled their grief. 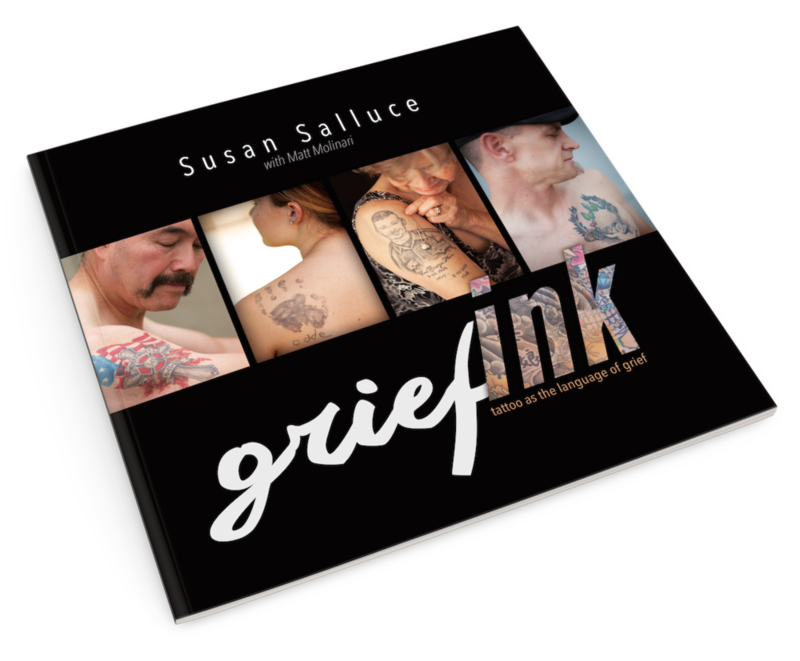 As someone experienced with counseling herself, Salluce has a profound understanding of therapeutic processes, coping mechanisms, and grief that translates well into her fictive scenario. In general, many of the reactions, counseling methods and dilemmas come across as believable clues that lead to a satisfying finale. Moreover, she has a knack for combining her expertise with a good dose of compassion, making her characters human beings rather than case studies. Katherine is immediately sympathetic and relatable; I could just about feel the tension simmering beneath her desire to unravel the emotional mess. Seth is easily my favorite character. He is earnest, selfish, remorseful, suave and heroic all at once; I can’t think of a moment when I wasn’t sharing his pain or rooting for him all the way. Out of Breath navigates its readers through a dense psychological landscape, methodically unraveling its entanglements and providing plenty of pathos the whole time. I would recommend saving it for a foggy day by the coast, when all you want to do is stay in and do some serious ruminating. I read a lot of books and this is a super one. Don’t be put off by thinking that the topic is too depressing. The storyline and the characters will propel you and draw you into their world. And there is redemption to be found but not easy redemption. The characters work hard and struggle and find themselves healing and growing in ways they never imagined…just like real life. Well worth reading. Waiting for this author’s next one! I recommend Out of Breath for anyone who is interested in family dynamics after a loss has touched their lives. The characters in the book live in Northern California. Being from the East Coast, I enjoyed how the author, Susan Salluce, brings the reader into the world of those who live among the beautiful beaches of Santa Cruz. The story is touching and is a quick read. It is written by a professional counselor who knows how to create a story that touches the heart and teaches what it is like to find meaning in the death of a child. I just finished Susan Salluce’s book, Out of Breath and couldn’t quite get up out of the chair for a long time – just spent time reflecting on the most important message in the book. For me, never having lost a child – the message was about forgiveness. Ms. Salluce spent a lot of time giving background information from the therapist point of view which made the process more understandable. Having been through several series of marriage counseling sessions myself – it gave me insight on the whys and hows therapists try to work with couples to reconcile. The author developed each character along the way and revealed all their deepest fears. The reader was able to watch the unfolding of events as seen through each character’s point of view. Loved it! This beautifully done story of loss, grief, and recovery truly touched my heart. Having lived through the loss of a child and the recovery process of a spouse, I can only say that Susan got it all. The process was shown so true to life. Compelling book and I also almost read it in one sitting. WOW! Thanks, Susan. I must say that this is generally not my cup of tea. I work with families for a living and don’t usually like books that are so close to work. But when my wife raved about the story I picked it up… then I could not put it down! It was compelling reading from start to finish. Susan did a great job of “getting” the complicated nature of families, period! And did a spectacular job of helping us get into the lives and minds of families that are struggling… and we all know some of those! Thank you Susan! Ms Salluce has written an amazing book that is gripping and suspenseful as well as thought provoking. Not only is the book impossible to put down, it also lingers in your thoughts for a long time. Can’t wait to see what Ms Salluce writes next.